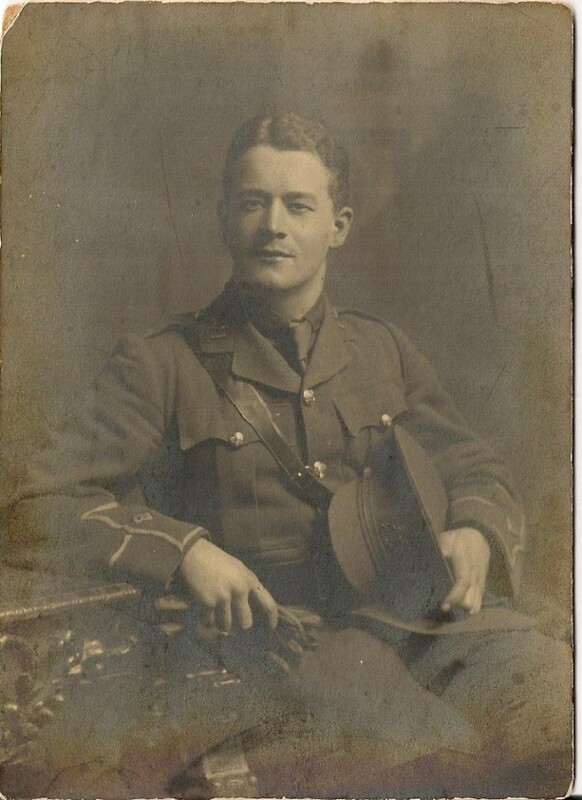 Lieutenant Arthur Nickson Callaghan (1893-1917) was the second of three brothers and was brought up in his maternal grandfather’s house on Booterstown Avenue in Dublin. He followed his elder brother Leslie Wilfred to Trinity College, graduating B.A. & LL.B in 1913, and winning a gold medal. As members of Trinity’s Officer Training Corps (OTC), both men volunteered to join the army at the beginning of the Great War; Arthur was commissioned as 2nd Lieutenant in the 14th Liverpool Regiment in November. He trained at Eastbourne in 1915, went to France in September, thence to Salonika, arriving on 5 November 1915. He was mentioned in despatches and became Lieutenant in 1917. He spent a period of time convalescent in Malta. Arthur was killed in action on 30 August 1917. His brother Leslie, who was a lieutenant in the 8th West Yorkshire Regiment, died just a few weeks later on 9 October 1917 at Passchendaele. They are commemorated on the Trinity Hall of Honour, at Wesley College, and in the Anglican church at Blackrock. A third younger brother, Thomas, left College to enlist with the Royal Engineers, before transferring to the Tank Corps. He survived the war and returned to Trinity to complete his degree.